A beautiful example of a French bistro mirror with a particularly fine and bright silver frame over black gesso, with traces of original striped decoration. Circa 1880 with original glass and backboard. 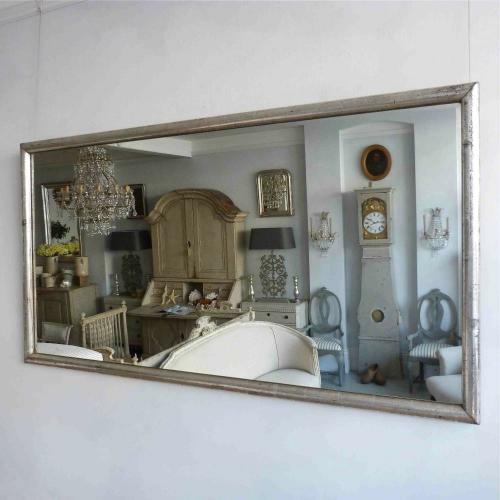 A handsome and very practical antique mirror that can be hung portrait or landscape over a fireplace, bathroom sinks, console table or sofa. Circa 1880.